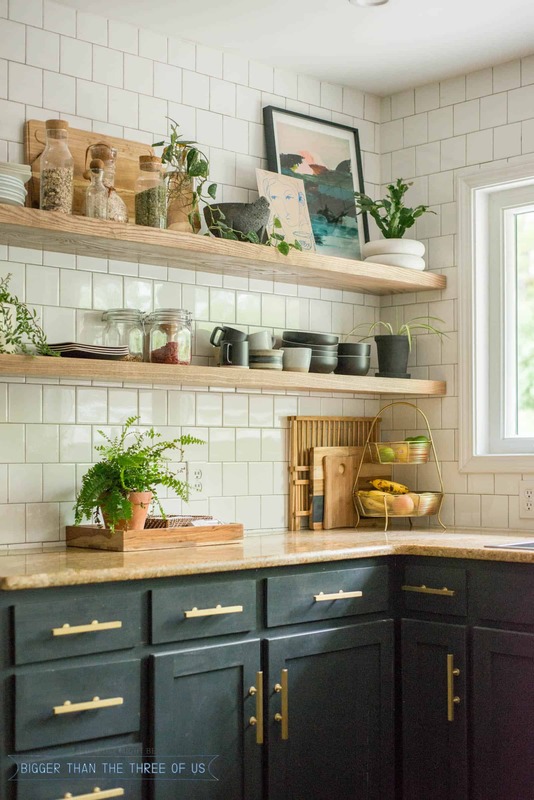 I get asked so many questions about my heavy duty floating shelves that I thought I’d just put together a DIY open shelving kitchen guide. 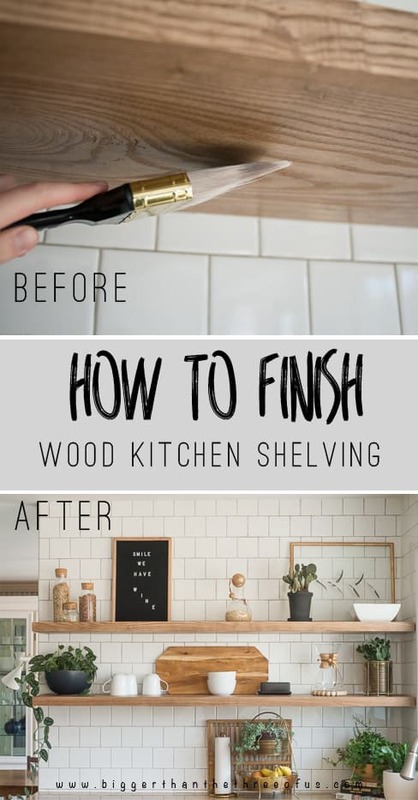 On this page, you will find all my posts on floating shelves: including how to attach floating shelves, how to install floating shelves over tile, how to finish floating shelves and what my wood kitchen shelving looks like today! I love how the floating shelves look and function in my kitchen. We’ve had them for over 2 years now and I don’t miss my upper cabinets at all. So, if you are ready for open shelving in your home, read on to get all the tutorials. 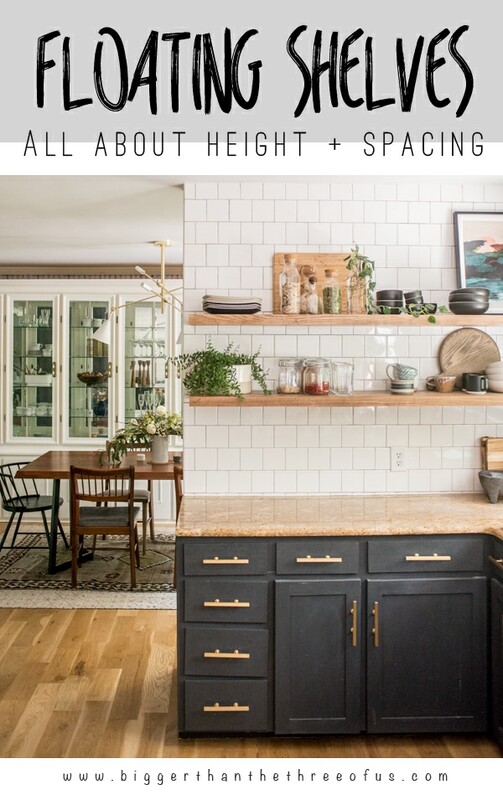 In this post, I rounded up some of my favorite kitchens on Instagram and asked each of the homeowners specific details on what height they hung their floating shelves. You can see from the post, the difference between the counter and the bottom shelf height as well as different heights from the top shelf to the ceiling. In this next post, you will learn how NOT to make a mistake with your wood kitchen shelves. My mistake was not sealing my wood. I got in a hurry and just wanted the project to be done, but I definitely wouldn’t recommend going that route. 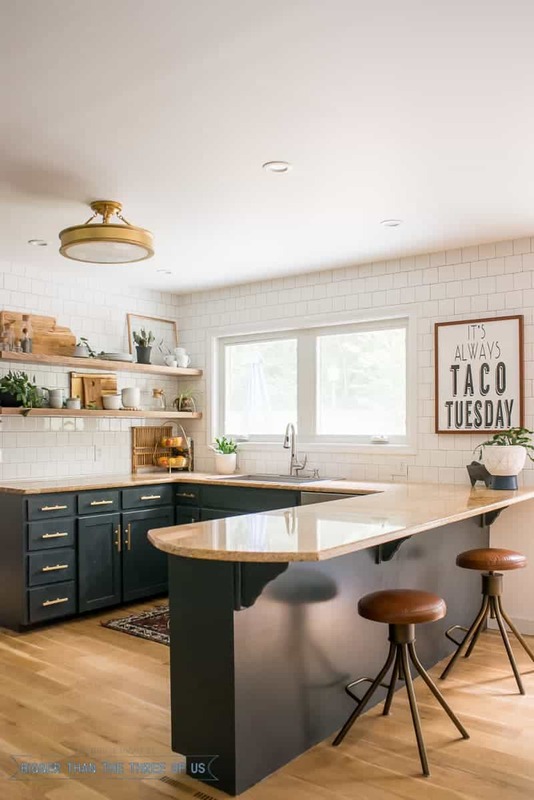 Questions still roll in on how I style my kitchen shelving and how I get the most use out of the wood kitchen shelves. I wrote a post recently on the kitchen in general but talked about how I use everyday items on the shelves and just love that. 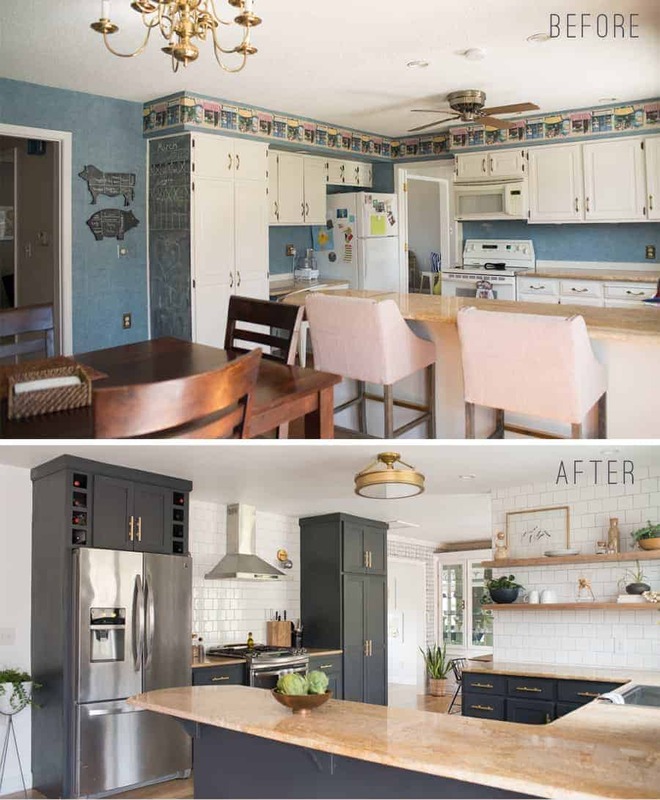 The kitchen reveal includes lots of before and after kitchen renovation details and pictures. I hope this DIY Open Shelving Kitchen Guide was helpful! Feel free to email me if you have any questions!